Bonds: They’re important building blocks for most portfolios, so it pays to know something about them – even if they do have an image problem. You may not know this, but in all probability bonds are an important part of your life. Bonds generate much of the income that many of our clients live on. For others, bonds are a source of return but are also like the ballast in a ship – steadying the portfolio when stocks go through periods of high volatility. Those factors mean bonds merit a closer look. The trouble is that bonds have an image problem. Stocks generally command the news headlines, investors’ attention and chit-chat at cocktail parties. Bonds, on the other hand, are the quiet asset. When was the last time you had a spirited discussion about intermediate-term Treasuries, municipal bonds or investment-grade corporates? Not only that, but in recent years, interest rates have been so low that returns on some bonds lagged the inflation rate – meaning that real returns were negative. In size, however, the bond markets swamp the equity markets. The amount of debt outstanding in the U.S. alone, not even counting the rest of the world, is much larger than the total value of the stocks in the S&P 500 Index. Obviously, we could write a book about bonds (many have). Instead, in just a few pages we’d like to highlight some key concepts using the quick and easy-to-read “ABCs” approach. We’ll also share a little more about our philosophy of bond management because we take a different approach than many others. Of course, we always welcome a conversation to tell you more or answer any of your questions. 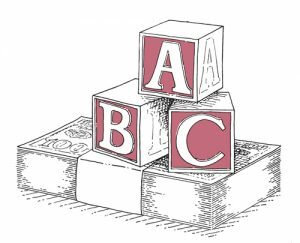 A is for anchor, or the role that bonds play in many investors’ portfolios. They’re an anchor to windward when events roil the stock market. At McRae, the proportion of bonds in a portfolio will vary with a client’s age, circumstances and goals. They can account for a significant share of a conservative, income-oriented portfolio. C is for coupon and callable. “Coupon” is the stated interest rate that the borrower promises to pay you. You can think of coupon as the annual interest rate you will receive, for example, 4.5 percent or 6 percent. In these two examples, you would receive $45 or $60, respectively, in annual interest payments for every $1,000 of face value. Coupon is actually an outdated term, even though it is still widely used. It refers to the days of “bearer bonds,” when the coupon was clipped from the bond and presented for payment of interest. Today, bonds are “registered” and interest payments are made directly to the bondholder’s account. “Callable” refers to the fact that bonds are either “callable” or “noncallable.” When the issuer “calls” a bond, it is retiring that bond and returning principal to the investor before the bond’s stated maturity date. Issuers call bonds when interest rates are declining because they don’t want to continue paying the higher interest rates that prevailed at the time the bonds were issued. H is for high-yield bonds, which are issued by organizations – including some U.S. and foreign corporations – that do not qualify for investmentgrade ratings by one of the leading credit rating agencies (see “Q is for quality”). High-yield bonds, also called “junk bonds,” are considered to be of lower quality because their issuers pose a greater risk of default. These issuers must pay a higher interest rate to attract investors to buy their bonds and to compensate investors for taking risks associated with investing in organizations of lower credit quality. M is for municipal bonds, which are debt obligations issued by states, counties, cities and other governmental entities to fund the building of all types of public service facilities and infrastructure, ranging from roads and sewer systems to schools and airports. The key point about municipals (or “muni’s”) is the tax advantage that applies to the interest income they generate. The interest income generated by many (but not all) municipal bonds is free from federal, state and/or local taxes. While interest rates on municipals are usually lower than other taxable debt instruments, they often provide a better aftertax return for individuals. O is for obligation, which is what a bond represents. In case there is any doubt, we should not fail to mention the fundamental difference between stocks and bonds: A bond is a debt instrument – essentially, an I.O.U. from the issuer – while stocks represent an ownership interest in a publicly traded company. In the capital structure, bonds are senior to stock, meaning that if a public company were to encounter financial difficulties – even go into bankruptcy – the bondholders would be paid before the shareholders. P is for portfolio. There are two considerations here: the role of bonds in a client portfolio and the management of the bond allocation within the portfolio. In the first case, at McRae Capital Management the percentage of a portfolio that is allocated to bonds depends on each client’s individual situation. Some clients may be older and retired and reliant on their investment portfolio for income. For them, bonds will be a significant part of their portfolio. For younger clients, risk-adjusted growth remains the primary investment objective and their portfolios will have a considerably higher allocation to stocks. Insofar as management of the bond allocation is concerned, we invite you to read about our approach to bonds, which follows the glossary section of this Commentary. Q is for quality, which is the overriding consideration for bond investors. Would you lend money to someone if there was a chance you might not be paid back? That’s the first question the buyer of a bond needs to determine. Bonds are rated for quality by services such as Moody’s Investors Service, Standard & Poor’s and Fitch Ratings. Credit rating agencies evaluate issuers and assign ratings based on their opinions of the issuer’s ability to pay interest and principal as scheduled. In the rating system used by Standard & Poor’s and Fitch, the highest-rated bonds are AAA followed by AA, A and BBB etcetera down to D. Moody’s uses different rating categories, for example, Aaa, Aa, Baa, Caa and so forth. Bonds rated BB or lower fall into the junk bond category. R is for risk. Bonds are not the bastions of safety many people think they are. There can be risks associated with owning bonds. Many of these risks are specific to various types of debt securities, leaving only a relatively few risks that one should really focus on. The first is credit risk, or the chance that the borrower will be unable to make interest or principal payments when they are due. This is directly related to the quality of the bond issuer. The second is interest rate risk in the event that interest rates go up. Why is this a risk? Because the price of your existing bond or bonds will be “marked down” to reflect the upward change in the market – you’ll still collect the interest payment, but if you needed to sell the bond you will not get what you paid for it. There is also liquidity risk, or the possibility that you may not be able to sell your bonds, should you need to. S is for step-up bonds. These bonds have interest payments that begin low, but generally a little above prevailing rates, and rise over the life of the bond. The increases in the coupon rate take place at a fixed date. These bonds can provide extra yield and are a good choice when interest rates are low. Credit quality is good, as they are often issued by U.S. government agencies or banks. For those reasons, we at McRae often make use of them for client portfolios. T is for taxes. At McRae, we are always considering the tax implications of decisions we make for client portfolios, whether we are talking about stocks or bonds. With taxable bonds, it makes sense to put them in one’s IRA or other tax-advantaged account to defer the taxes on the interest income. It may be advantageous for certain clients to invest in municipal bonds for their taxable accounts. Y is for yield, or the annual percentage rate of return earned on a bond, e.g., 4.5 percent, 5.2 percent, etc. (See “C is for coupon.”) This is the yield when the bond is first issued and assumes the bond will be held to maturity. The current yield of a bond may differ, owing to changes in interest rates over the life of the bond. Yield to maturity is based on the assumption that the security will be held to maturity, and represents the total of coupon payments until maturity plus interest on interest. Z is for zero-coupon bonds. These are bonds on which no periodic interest payments are made. The investor receives one payment – which includes principal and interest – at redemption (call or maturity). These bonds provide a guaranteed coupon rate of return because the reinvestment of the yearly interest rate is imputed in the initial price of the bond. The key for us is quality. We invest in high quality growth stocks – so we would hardly change stripes and bet on high risk, low quality bonds. We look at bonds to serve as the anchor of the portfolio. We focus on safety of principal rather than risk loss trying to obtain an extra percent or two of income. Would you lend money to someone if there was a chance you might not be paid back? That’s the first question the buyer of a bond needs to determine. Our orientation to quality leads us to invest principally in U.S. Treasuries, securities issued by U.S. government agencies, high-grade corporates, municipal bonds and, as conditions warrant, step-up bonds. The other major point is that we are not bond traders. That is, we don’t buy and sell bonds for our clients’ accounts, hoping to secure a capital gain on top of the interest the bond pays. There are too many risks in trying to do this, and higher costs as well. We are well aware that to invest successfully, one has to accept a certain amount of risk. We believe it’s wiser to confine risk to the stock portion of a portfolio, however. We build flexibility into our buy and hold approach by keeping maturities in the short to intermediate-term range and laddering maturities. Short-term securities mature in a matter of months or a year or so, so clients aren’t locked into long-term bonds. Intermediate-term bonds offer higher yields and, hence, more income. Laddering is a way of diversifying a bond portfolio and managing interest rate risk. One buys bonds of various maturities, each maturity representing a rung in the ladder. When the first bonds mature, they are replaced with bonds of a differing maturity – longer or shorter depending on the rate environment. We also keep an eye on the amount of cash in each client’s account so that we are ready to buy a bond when an excellent opportunity presents itself. At McRae, bonds garner as much attention as stocks. We consider quality, yields, after-tax return, diversification and maturity when selecting bonds. We make sure that each bond investment provides the income, security and the peace of mind our clients are seeking. As with understanding bond investments, McRae Capital can help you understand a host of topics, such as the risks of market volatility, how to live off retirement savings, and why taking the long view as an investor is so very important.